Cleverly balancing the sensuous, the surreal, and the comical, Øyehaug achieves a playful familiarity with the absurd that never overreaches the needs of her stories. Full of characters who can’t help tying knots in themselves and each other, these tales make the world just a little more strange, and introduce a major international voice of searing vision, grace, and humor. Read the full description. Read by Heather Wilds. 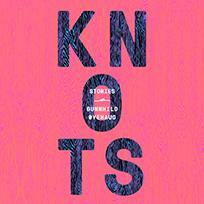 Put the word “knots” in the subject line. Entries must be received by July 31, 2017. Open to US only. Congratulations to Joseph Arellano, winner of last month’s giveaway, Stephen Florida. Thanks to all who participated.